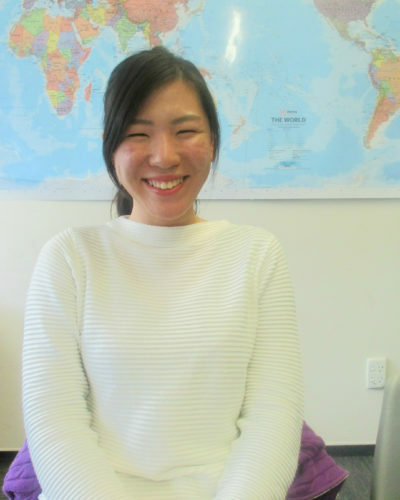 I’m very glad I came to New Zealand to study English! This month I’ve been learning a lot in the school and every time I feel safer when I have conversations in English. The teachers are very careful to adapt their teaching to the needs and expectations of each student. I’m also learning a lot about the culture and habits kiwis thanks to teachers share their knowledge and answer my questions. 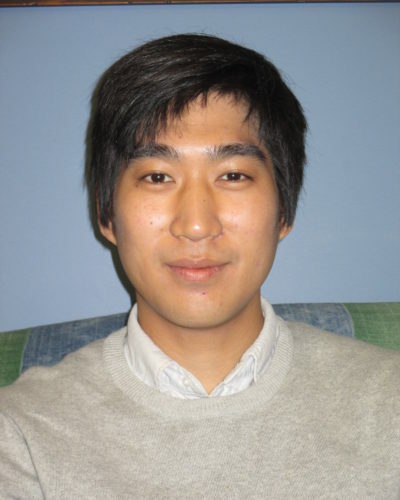 The school staff is also very helpful with practical matters within or outside school. Thanks for everything! Hi there, this is Fiorella. 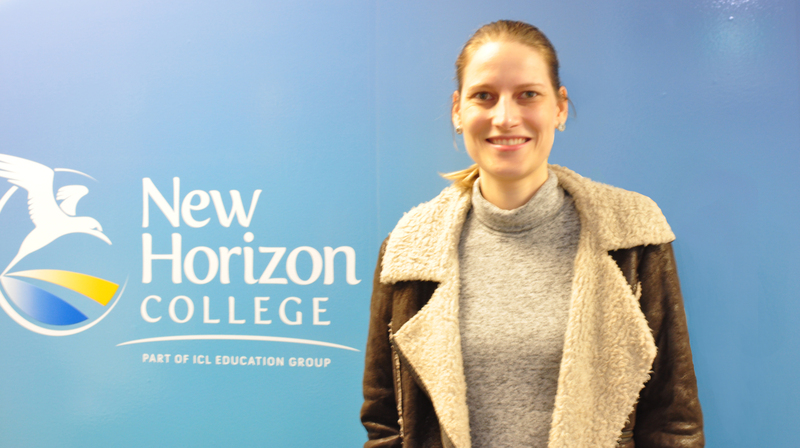 Talking about my own experience studying at New Horizon College – throughout this time I’ve been learning a lot. I am very thankful to my amazing teachers, they do more than teach English. Besides this the school is in very good condition and the staff is always able to answer any questions you are wondering. 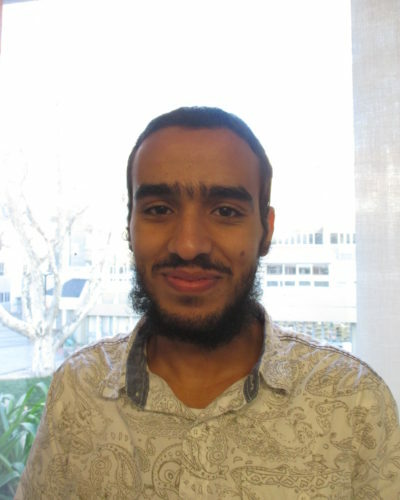 I am so proud of myself because before I came to study I wasn’t able to speak English at all. Now I can say, yes I do. Hi there. My name is Lourenco and I’m from Brazil. I’ve been in New Zealand since 25th November 2015. 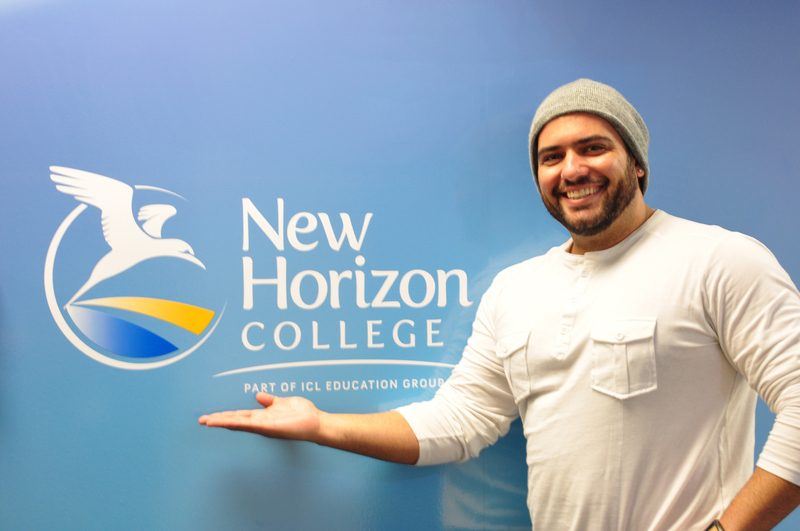 I’ve been studying at New Horizon College since 20th June full-time at night. This school is amazing because it has a mix of nationalities and you can study at three different times – morning, afternoon and evening. You choose which one you want. All the classrooms have a comfortable space and there are places to study. Also, there is a big students’ lounge on the first floor with a snooker table to enjoy with your friends and maybe have a snack at the school’s café. When I arrived, I went directly to the Intermediate level. We have experienced teachers and learning is lots of fun. This makes us rich with knowledge of speaking, listening, reading and writing in English. Day by day I feel the improvement in my English. Of course, we need to study and speak English outside school in our real life. That’s all. Welcome to New Horizon College. Come and enjoy learning with us. 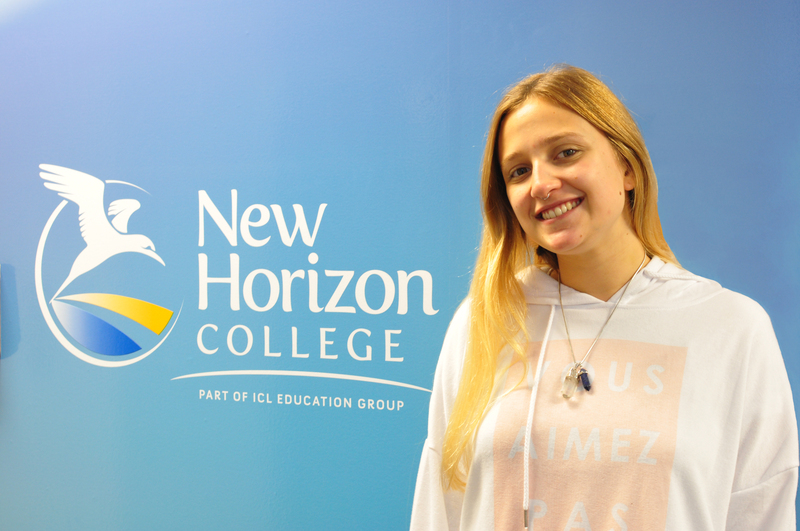 Hey everyone, I am Gabrielle from Brazil and I’ve been studying English at New Horizon College for 3 months. All the teachers and staff members are very friendly. It’s a good place to make new friends and learn about the different cultures. I’m having a great time here! Why did you come to Napier? To avoid being around a lot of people the same nationality as me and to concentrate on my study. How did you find out about New Horizon? My agency recommended this school. 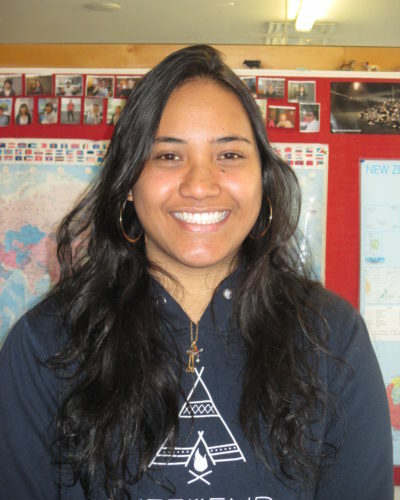 They said ‘If you want to be part of New Zealanders I know the best school you would like’. What do you plan to do after your course finishes? Travel to the south island. Staff are so hospitable that I could settle in this foreign country very easily. Thank you so much. I appreciate everything they’ve done to me. Playing football, cooking and swimming. I came here to improve my English. I have been here for 5 months, and I’m going to stay for another 7 weeks at least. I hope I do well because I need it for my future study. I’m interested in helping people. I chose Napier because I always heard about it from friends who said it is a lovely city, people are kind and nice and when I came here I believed all of them. I found New Horizon through my cousin who was here last year. I am going to study medicine in my country and I hope to be a successful doctor. I like this school because the teachers are really helpful and the school system is so flexible and they do a lot of activities. These help us to improve our speaking. I appreciate all the things my school does and will do. Wish me luck! I need to pass the IELTS and also because my English wasn’t good enough for my Master degree. I came here because it’s a small city just next to the sea with a few people and I know there weren’t a lot of Tahitians so I could focus on my purpose. A New Zealand brochure and the website. I plan to go to University in New Zealand to do my Master degree. People are very friendly, it’s more like a family. Because it was my weakest point and to get a good job. My sister lived in Napier for a year to study English, so she recommended me and she said that Napeir was adequate to live, quiet and warm city, that’s why I decided to come here. 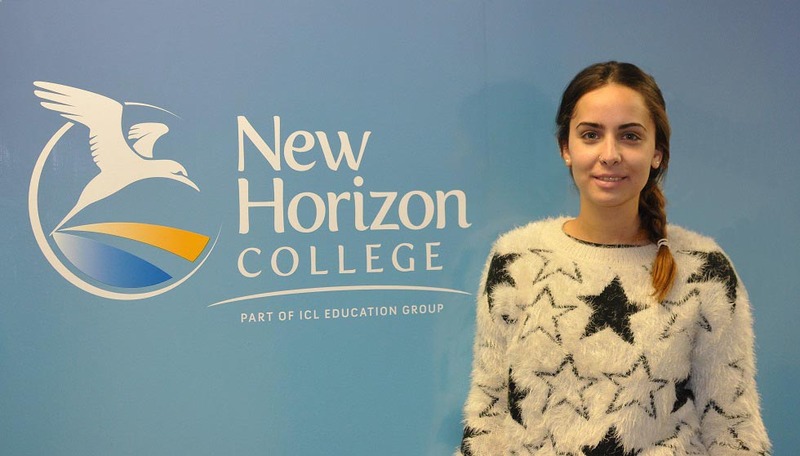 My sister had been studying at New Horizon so I’ve known about New Horizon through her. I’m a university student in Japan, so I’m going to go back to Japan and immediately return to university, then I’ll job hunt and take the TOEIC exam. I like New Horizon’s at home atmosphere. 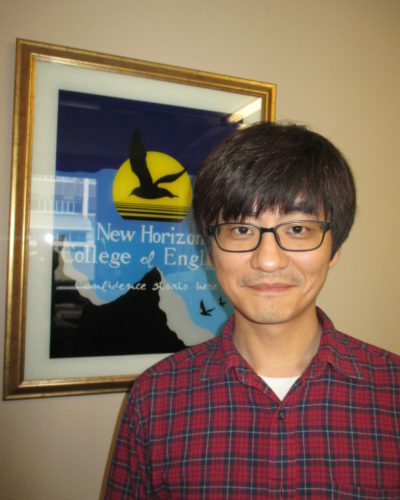 All teachers and staff of New Horizon are very friendly and kind, so I think that’s why students also become friendly. I feel like I’ve got a big family in New Zealand. It’s challenging and exciting to know English more. It’s my second time here. I want to share my good memories with my family. My friend introduced the school to me. I am going to travel South Island for two weeks. 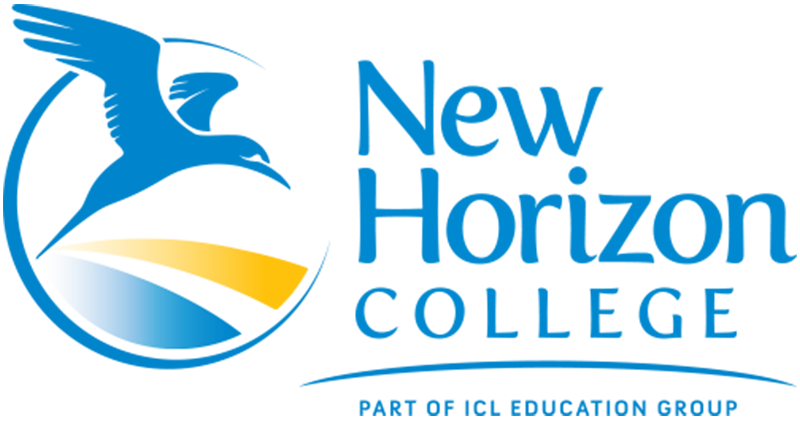 Wonderful teachers and staff and well-organised system for students.